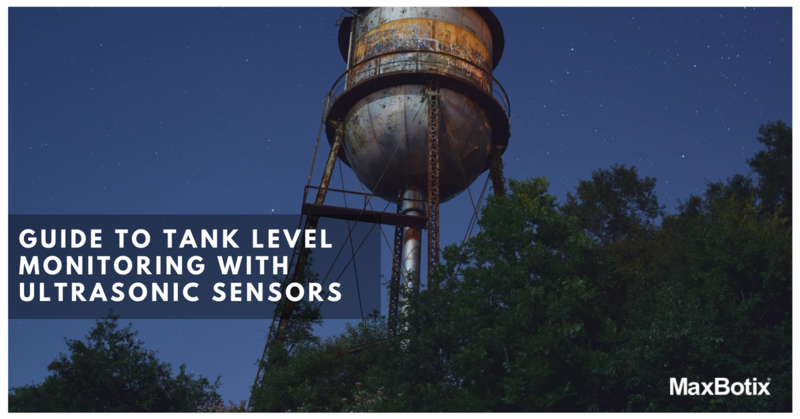 How to Choose an Ultrasonic Tank Level Sensor | MaxBotix Inc. These are important factors to consider when mounting your sensor in a tank. Avoidance of obstructions – The wall of the tank or other obstructions in the tank will give inaccurate readings. Placement can affect readings – Our filtering protocol allows the sensor to prioritize large targets over small targets and noise. This is beneficial in tank level monitoring applications as the liquid level tends to give the largest acoustic return. Beware of the fill stream – The fill stream can also be an obstruction that you may not consider initially in your application. Tip – When mounting an ultrasonic sensor in a tank, the position of the sensor is very important to the application. The mounting position of the sensor affects the reliability and consistent performance. Concerned about reflections off the side of your tank? Our sensors offer a narrow beam pattern, reducing the chance the sensor will detect the wall of the tank, which can solve your problem depending on the diameter of your tank. If the tank has smooth walls on the inside, our MB7052 and MB7369 sensors contain our Most-likely and stability filtering. This will let the sensors choose the target that gives the largest acoustic return. This will generally be the liquid level inside of the tank. If the tank is corrugated or does not have smooth inside walls, this will likely have a negative impact the performance of the sensor. We recommend that you contact us at [email protected] to get the most appropriate sensor recommended for use. Are you measuring chemicals (liquid/gas) in your tank or water with high levels of chemicals? Many chemicals or gases can have an effect on electronics/metals that would cause corrosion or damage, and as such, we offer the F-option (fluorocarbon sealant) and P-option (parylene coating) for our sensors for operation near or with hazardous chemicals or gases/fumes. What are F-option (fluorocarbon sealant) (IP68) and P-option (parylene coating) for our sensors? The F-option adds additional water/particulate protection. 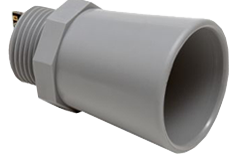 The P-option is a parylene coating applied to the aluminum transducer surface for added protection against corrosion. For example, if you’re measuring water levels in a tank, and they have high levels of chlorine or other chemicals in the water, it can have detrimental effects on the aluminum. Depending on the chlorine levels and temperature of the tank, it can create a corrosive environment. We recommend you order the F-option and P-option along with the sensor to help prevent corrosion on the aluminum transducer. We do strongly recommend that customers verify that the exposed materials on our sensors can withstand the environments they are placed in. If you will be measuring in a tank that contains fossil fuels, it is recommended that you add the F-option and P-option for added corrosion resistance and protection of the sensitive electronic components. We do list the exposed elements on any of our weather resistant sensors. Do note that you are responsible to ensure that any harsh chemicals will not damage the exposed materials. Is there a chance that condensation or frost will form on the sensor? What are the minimum and maximum range requirements for your operation? What is the desired read/refresh rate for your application? Do you have a preferred sensor resolution? Our sensors report distance in the following resolutions: inches, centimeters, and millimeters. At what voltage level do you plan to operate the sensor? In cases where condensation or frost may be an issue, we recommend that our consumers consider a sensor from our SCXL-MaxSonar-WR or 4-20SC-MaxSonar-WR lines. The SCXL-MaxSonar-WR and 4-20SC-MaxSonar-WR sensors feature a self-cleaning protocol which gently heats the face of the transducer and helps to remove any moisture/condensation on the sensor’s transducer face. When condensation or frost form on the sensor, it can be read as a target and have the sensor report minimum distance or decrease the sensitivity of the sensor. 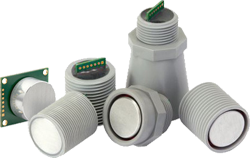 This feature allows the sensor to be used in a wide variety of applications that may experience condensation issues. However, if the sensor is continually being coated with a spray of water the self-cleaning feature will not be sufficient to keep the sensor clean and free from water. If frost or condensation are rare, and this does not bother you, you likely will not need a sensor with the self-cleaning feature. You would also want to consider our F-Option and P-Option to preserve the sensor against the harsh environment in an oil tank. Items to consider: Picking the best sensor for your tank level monitoring application. The dimensions of the tank you will be measuring in. Is the tank corrugated or does it have smooth walls? What is the minimum range needed for your application? What is the tank use? Oil & gas, water, bulk storage, chemical storage, other? How quickly will the liquid level of the tank change over time? Hopefully, this article will answer some questions you have about our sensors in certain tank applications. There are several things to consider while building your tank level monitoring system. Keep in mind, there is a difference in sensor selection based on the object you’re detecting and the size of your tank. Features of the weather resistant MB7052, XL-MaxSonar-WRM1, include small target rejection providing range information to the target with the largest acoustic return, a stability filter, centimeter resolution, range information from 20cm to 765cm, a 6.7Hz read rate, and various output options: pulse-width, analog voltage, and RS232 serial. 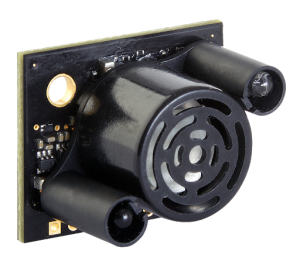 FFeatures of the weather resistant MB7369, HRXL-MaxSonar-WRM, include millimeter resolution, range information from 300mm to 5000mm to the target with the largest acoustic return, a 6.7Hz read rate, and various output options: pulse-width, analog voltage, and RS232 serial. Features of the weather resistant MB7389, HRXL-MaxSonar-WRMT, include millimeter resolution, range information from 300mm to 5000mm to the target with the largest acoustic return, a 6.7Hz read rate, and various output options: pulse-width, analog voltage, and TTL serial. Choose the right sensor for your tank level monitoring applications. Whether you're measuring water, oil, fuel, grain, etc.